I'm currently loving seeing all the new wintery collections in the shops. I adore all the black, berry colours and textures that come with winter dressing and the latest collections stocked in John Lewis really caught my eye. 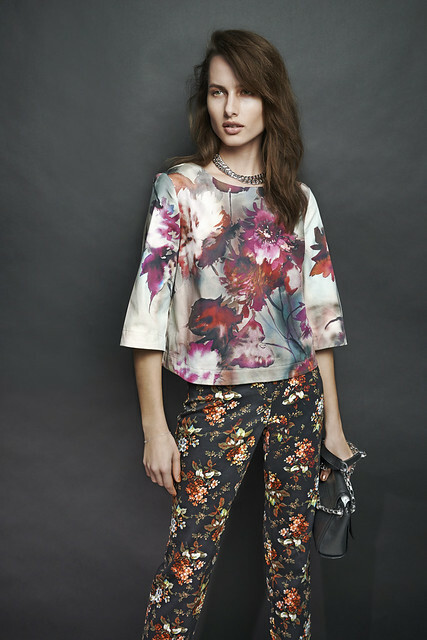 It's all about winter blooms on pleated skirts, skinny trousers and cool sweaters which take pretty to the dark side. There are also lots of Game of Thrones influences this autumn, with texture, leather and faux-fur taking starring roles in collections at John Lewis. 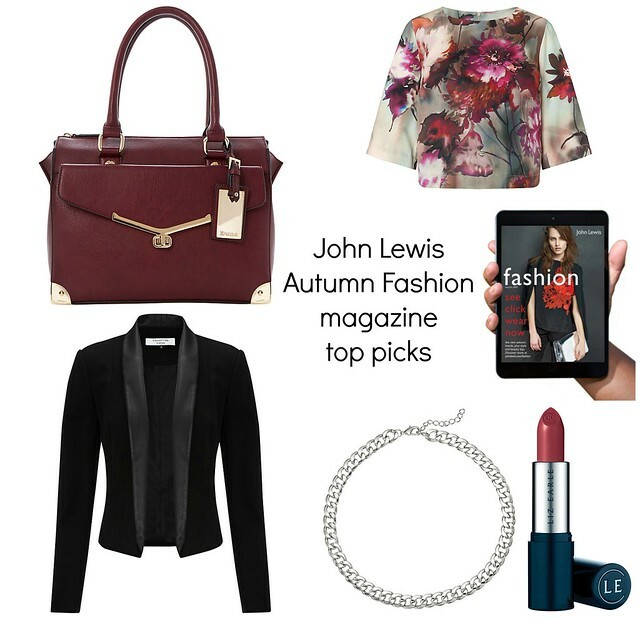 John Lewis has just released their fashion magazine online and it is full of beautiful items perfect for your Autumn/Winter wardrobe. It features all the latest trends with tips on how to add these to your wardrobe and is available for free. The handbag is super sophisticated and spacious and teams perfectly with flat over the knee boots for a chic day style. A classic tux jacket is the hard-working wardrobe staple that never goes out of fashion, updated here with leather lapels and tons of edge. What items are on your winter wish list at the moment? I really love the black top with red flowers. Very pretty!